Add art on the table with this perfectly proportioned dish, beautiful and durable, a welcome addition to your kitchen. 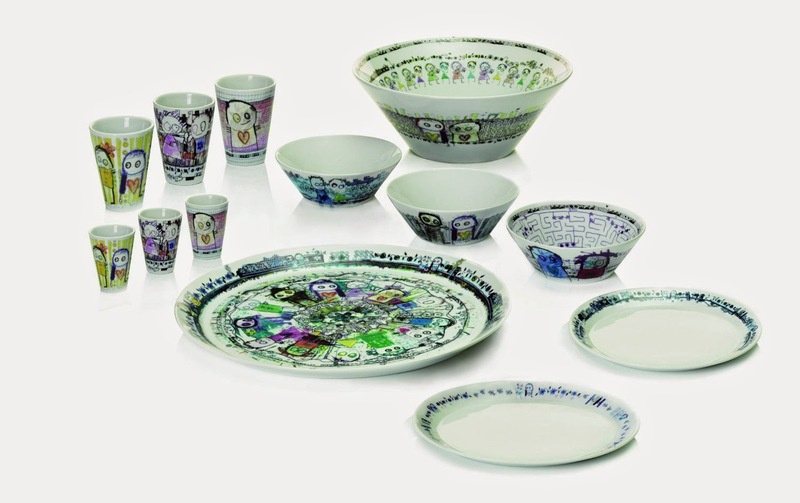 It is uniquely styled by the artist “Poul Pava” whose dishes are stylish and distinctive, making it a perfect gift for family and friends. Pava’s artwork is fun, interesting and ultimately unique, with motifs that depict the child within us. Poul Pava is a Danish artist who specializes in a naive and spontaneous style. He describes his motif as "the child in us all“. The “Be Friends” series are especially fun for kids. They can follow mazes on the plate and get inspired by the art and colors to be creative themselves. The new series give the possibility for a complete table setting with thermo mugs, dishes and bowls. Go explore the new universe of Poul Pava, which leads you through the “labyrinth” and takes you to the “city”. 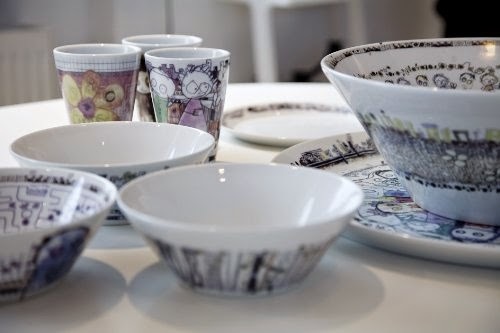 In collaboration with aida the artist has created a universe consisting of thermo mugs, bowls, plates, dishes, eggcups, placemats, tablecloths, jugs and vases. There’s no denying it; when we experience Poul Pavas colourful art, we are filled with joy. Real love is art. (Poul Pava’s quote).